Not only do you have to find the best hashtags for your niche, but you have to make sure your photos aren't going to drown in the thousands of photos that get posted there each day. If you're serious about finding the right hashtags for you I recommend taking at least an hour to sit down and research. Look at the hashtags your favorite Instagrammers are using, your followers are using, and other bloggers in the same niche (and same size!) as you are using. I also try to use hashtags that aren't overused. I don't want my photo to get lost, so I attempt to use smaller, but active hashtags to reach the most amount of users. I ideally only use hashtags with under 100,000 posts, but I do have a few larger hashtags as fillers until I can find 30 (Instagram's max) that really fit my posts. When you get more followers you can use bigger hashtags, but I'm a fan of using the same ones 85% of the time, but change a few depending on what the image is about. Using the right hashtags will earn you more engagement and followers, but it will also let you connect to your ideal audience. The more someone sees you in a hashtag, the more likely they are to check out your account and possibly give it a follow! I shared a few of my favorite hashtags to use in my other Instagram tips post, so check those out to get started! Also, be sure to use all 30 of Instagram's allowed hashtags!! I always put mine in the first comment so as not to crowd my image, but if you don't use all 30 you're just wasting potential. Think of it this way, if you were given 30 lottery tickets, would you only look at 20 of them when the winning numbers popped up just to not look like you're trying too hard to win the jackpot? You don't just buy an outfit and never wear it, right? If you're using hashtags, you should also be engaging in those hashtags. Like and comment on the top photos at least once a day, then go like a few of the recent photos in the hashtag. I try to do this a few times a day for 5-10 of my hashtags just to have my name pop up on some people's feeds who may be interested in what I'm posting. If I really like someone's post I'll go onto their profile and like/comment on a few more of their images or follow them! This can seem like a lot of work already, but if you're interested in really growing your page it's necessary to put in the work! I want to say that about 70% of the photos I post on Instagram now are from my DSLR. It's insane how much of a difference in growth my account has seen since I started posting these higher quality images. Of course I still put up iPhone photos since I don't take my actual camera everywhere, but if I do I still try to make those photos as high quality as I can. If you aren't sure how to move your camera photos over without removing the quality here's what I do. I upload them to my computer, put them in an email, and send them to the email that I get on my phone. Boom, high quality photos! I used to upload them through Facebook, but realized that degrades the photo! Also, if you don't have a DSLR, don't worry, iPhone pictures are still amazing quality! This really goes for any social media (and your blog!) but replying to comments is just a nice way to say "Hey, I noticed you, thanks for checking out my post!" even if all you do is say thank you. On Instagram, if you reply to others they get a notification, and will most likely want to check what they said on your post to help refresh their memory. When they come back to look at the photo they commented on, they might look at your most recent photos as well and engage with you more! Plus, Instagram's new algorithm doesn't differentiate between your comments and other's comments, so it only adds to your post's "score" and helps get your more reach in the long run! This sounds weird, but I couldn't think of a shorter title for this tip. Basically, engage with those who are engaging with you and who are engaging with other profiles like yours. If you notice the same people are commenting/liking your posts, comment and like on a few of theirs! They'll be more likely to keep up with you, and you might make a new Instagram friend! :) Then after you engage with your own followers, engage with those who are commenting/liking accounts similar to yours. When you engage with those accounts you're increasing eyes on your own account, and again those users are likely to check out and engage with you! I talked about this in my last post, but I'm bringing it up again because it's seriously so important! I've realized that you have to edit each photo almost identically otherwise it doesn't seem cohesive enough. Eventually I'll try to incorporate some more color into my theme, but for now it's mostly white with pops of color. It's difficult to keep a theme when you want to photograph a lot of different things, so I always try to keep something consistent. For me it's normally the white background, but to keep it from being boring I'll change up the backgrounds with different mostly white patterns. This has been a game changer for me. A few of the blog Facebook groups I'm in created engagement groups where everyone in the group likes/comments on a photo when you post. The point is to help speed up the natural engagement process and help your post's overall reach on Instagram. With the new algorithm, comments and likes within the first few hours is crucial, so having a group of pals to help is awesome! I feel like there's some weird thing about being the first one to comment on someone's post, so this takes away that initial hesitation. The more comments people see, the more someone is inclined to join in on the conversation! Like I said, being in one (or more) of these groups is also good because it makes it easier to make it into the Top 9 photos in your hashtags, which means even more exposure. At first it may seem "fake", but if all the users in there are friends it's really just a quicker way to let them know you posted and you want to know what they think. If the people in the group are only commenting things like "Nice!" "Great post!" etc, then that isn't the best group for you. If you engage with their posts genuinely, they should also be engaging with yours genuinely! I'll also be doing a post soon all about how I edit my photos and my favorite editing apps, so keep an eye out for that soon! So true!! It's all about engagement... Responding to comments and being active are the only true way! Pinning! Great tips, thanks for sharing! I need to work on my account. This came at a great time. Love this post! These are great tips! Engaging with your followers is so important and builds a connection! I love all of my engagement groups! The one thing that I haven't done is create a theme... I just haven't loved it anytime I have tried. Engaging and using hashtags definitely makes a big impact on Instagram! Good points. I never thought to actually go to and comment on the hashtags that I use! Yes to all of these! I use all of these and grew my account from less than 300 at the end of March to over 11.7k now! Thanks so much for this information! I'm newer to the blogging world and your tips are going to help me a ton! Hashtags seem to be where's it's at! I did the research, but I need to engage on the hashtags I use the most. I wish I had a DSLR! Hoping to get one someday! <3 Love the rest of your tips too--I don't have much of a theme at the moment. Engaging + using hashtags has definitely made a difference for me! Great tips! Thanks for sharing! I have a note on my phone with a list of hashtags that work for my nice and I copy and paste the appropriate ones over to Instagram whenever I post. It has helped me a LOT. Engagement is key! I am determined to hit 10k by the end of the year. Such great tips Sami!!! I loved reading it. I've been hesitant to join instagram engagement groups. But, you've made some good points. These are great tips! I have been making some progress with instagram and I will definitely implement some of these to continue my growth. Thanks for sharing. Growing my Instagram has been my focus lately. I've got to use these tips Sami - they're awesome! My goal for October is more engagement on Instagram! I'm curious - what are your thoughts on creating a separate personal instagram?? I agree with all your tips - I do all of them and plus comment groups. These all have grown my following so much! It makes perfect sense - if you want people to engage with you, engage with them, too! Thanks for the tips! These are great tips! I've gotten so busy lately that I cannot find a spare second for Instagram most days. 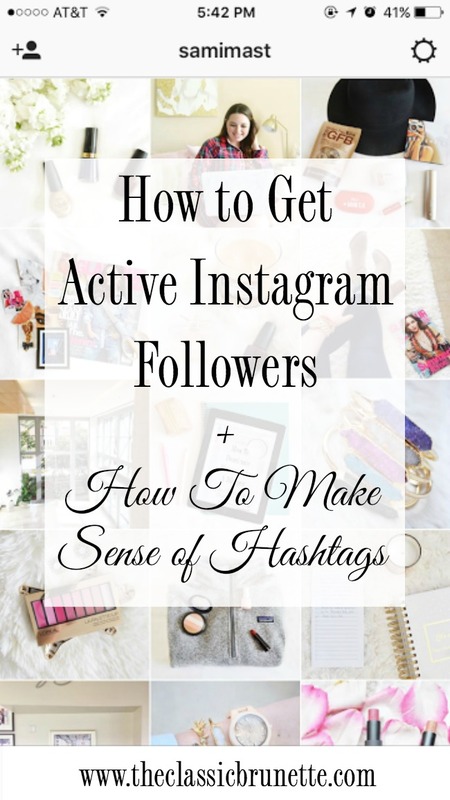 But I definitely agree that these are by far the best ways to grow your IG! These are really great tips – I've always been iffy about joining engagement groups, but I think I'll try it out! Thanks for sharing! Purchasing a batch of Instagram followers as well as to buy Instagram likes can be done through PayPal which is C.O.M.O.D.O secured, so that no one else will be able to gather sensitive information about the purchaser.